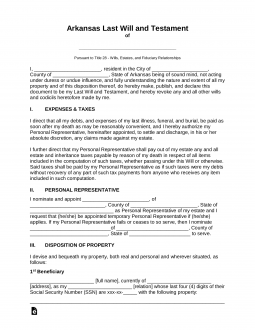 The Arkansas Last Will and Testament is a legal document that is created by a testator (one who is creating the document) that specifically states how a testator would like to distribute all of their accounts, real estate, personal property etc, to family, friends, charities or whomever the testator would wish to provide for or leave a gift to. This Arkansas document will require witness and notary acknowledgment. Inheritance Guide – Refer for common questions about estates. 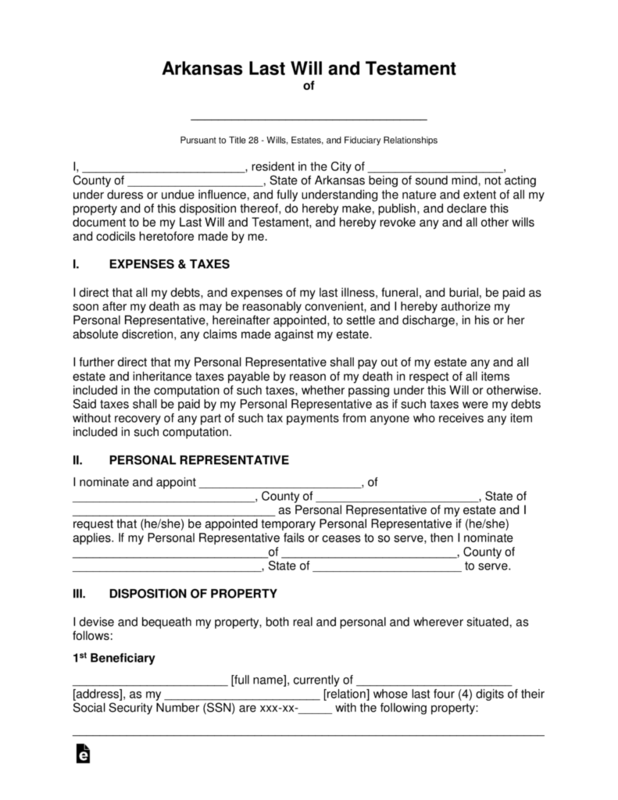 Signing (§ 28-25-102) – Two (2) Witnesses must be present with the will-maker signs the document.